Are these numbers below increasing or decreasing in absolute gross total amounts? If you said 'Increasing, of course, you silly! ', you win! Ding-ding-ding! Because you will have mastered the art of understanding basic accounting and financial management unlike 99% of the media and apparently most of the liberal Democrats now in Congress and the US Senate and more than a few Republicans, sadly. Year-by-year, even the most elementary of all elementary students can see that these numbers are going up, not down, even if they have to take off 9 zeros at the end to make them more comprehensible to smaller minds. And yet, the media and Senate Minority Leader Chuck Schumer and House Minority Leader Nancy Pelosi are screaming bloody murder and waving bloody shirts and flags as if this budget was a declaration of war. 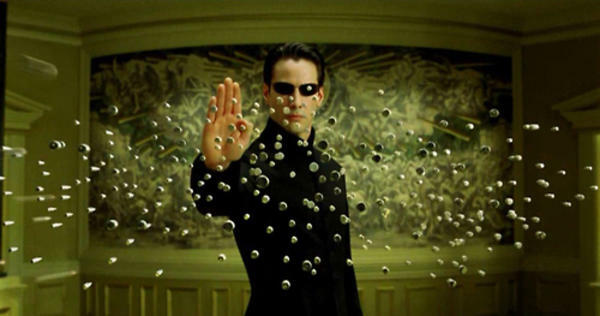 Why is it that in our hallowed halls of Congress, in the highest elected government offices in the land, many to most elected leaders treat numbers and budgets as if they are in an episode of 'The Matrix' where up is down and down is up and inside is outside and outside is inside? It is because they do not want you to know the truth or understand the federal budget. The more they can obfuscate, dissect, paper-over and distance the real truth from you, the voting public, the more they can manipulate your emotions and feelings when it comes election time. But the press can't even admit common sense and basic arithmetic anymore since so many of them have abandoned any pretense of 'impartiality' and thrown their fortunes in with one political party or the other. That is not 'journalism' in the purest light of American freedom of speech and the press. That is 'propaganda promotion' which is as dangerous to our freedom as suppression of free speech anywhere. The problem is that crafty budget staffers and press secretaries to powerful budget chairmen in Congress came up with the concept of a 'baseline budget' in the Congressional Budget Act of 1974 which really needs to be removed and replaced with some form of zero-based budgeting requirement. The idea was to 'project' into the future what federal programs would cost if basically indexed for inflation and population growth and really not much else. Gone are any requirements to dig into the programs and budgets and see if they are actually WORKING to achieve a solid public policy purpose or not; they basically go on autopilot and grow forever. If anyone dares to reduce or try to rein in spending from one of those 'projected' higher levels of spending in these federal budgets, that is called a 'cut' for some reason. It is as if those projections are etched into stone by the finger of God on Mount Sinai or something and mere mortals are not supposed to ever change them at all. That is like saying we are heading towards a cliff in a car and with each passing day we are going to go 7% faster...and never let up on the accelerator. It is almost cause for an intervention to be honest. Test your own nerves by taking a look at the following list of 66 programs (below) President Trump has proposed not for just reduction but total elimination. Keep in mind that the purpose of having federal programs in the first place is to provide services that affect and help ALL of the citizens in this country and not just a few here and there. Such universal service we all need include national defense, homeland security, interstate highways, airports and perhaps a few other select programs. If a state or local government can do the job better and more efficiently, then the federal government probably should not be involved. If the private sector can provide the same service for less cost and higher quality, let the private sector do it. If charitable and eleemosynary organizations can address problems, let them do it first. Each of us can point out 1, maybe 2 programs on this list we consider 'essential' to keep. But not all of them. We have come to our own 'Time To Choose' to adopt Ronald Reagan's phrase above and it is how are we going to A) balance our budget; B) pay off our $20 trillion+ (and growing) national debt; C) grow our economy back up to 3%+ annually while D) providing for only the essential public services this nation needs. When elected leaders failed to balance the budget on an annual basis starting back in the 1960s really but especially since 2001 (so both the Bush 43 and Obama White Houses are culpable as well as every Congressman and Senator who served during those times and failed to do anything to prevent the onslaught of federal deficit-spending that has gotten us into this mess we are in today), they effectively painted us into an actual real corner fiscally. We have to raise taxes to pay for all this spending...which ain't gonna happen in a million Sundays. We have to cut spending across-the-board in every program in an non-discriminate manner. We have to start to wean wealthy seniors off of social welfare programs such as Social Security and Medicare mainly because both programs were designed to help 'poor seniors' in their golden ages, not wealthy people. That is the 'Time for Choosing' we face today. More on the Trump budget later, although you might as well start reading it now. Some budget hawks actually might get mad that the federal government would still grow at about a 5%/year clip under this Trump budget instead of about 7% or more per year if nothing is done to curtail our out-of-control spending from Washington.